1. What are the different components in SQL Server? Database Engine, Analysis Services, Reporting Services, Integration Services, Master Data Services, Data Mining, PowerPivot, Replication etc. 2. Tell me different SQL Server Editions? Enterprise, Standard, Developer, Express, Compact, Workgroup, Web, SQL Azure, Datacenter, Data Warehouse. 3. What is Tabular Data Stream? 4. What is SQL Server Configuration Manager (SSCM)? SQL Server Configuration Manager maintains database services, network protocols and ports for SQL Server Database. 5. What is the default port number for SQL Server? How to find it? Port 1433 for TCP IP & port 1434 for UDP. 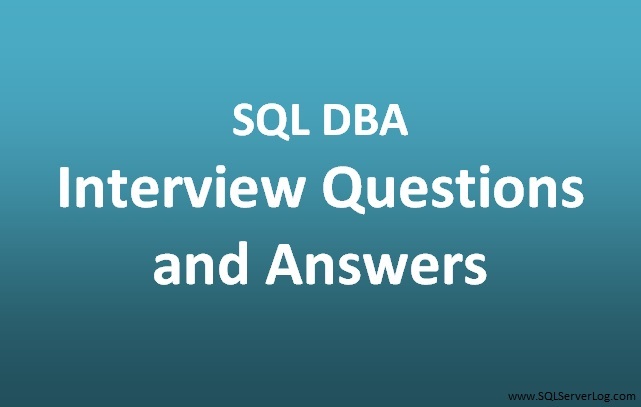 You can check the same from SQL Server Configuration Manager or by executing below query. 6. What is Collation in SQL Server? A Collation in SQL Server defines a set of rules governing correct use of characters for language like Polish, Greek etc and alphabets such as Latin1_General etc. 7. What are different system databases in SQL Server? master, model, msdb, tempdb, resource. 8. How do you monitor disk space used by tempdb files? 9. What are different types of recovery models in SQL Server? 10. Tell me different types of backup in SQL Server? Full, Differential, Transaction Log, Partial, Copy-Only, File/File Group and Tail-log.